10-men Derby concede three second-half goals in their 5-2 loss to De Monfort following Matt Isles’ sending off. The away side went 2-0 up in under half an hour but Derby fought back and found two goals from Kudzai Djm Mutamba and Mahmud Hussein who pulled the sides level at half time. However, Derby went down to ten men after the break and went on to concede three more goals. De Montfort responded well to some early pressure from the hosts. After winning a free-kick 20 yards out, Soloman Odeleye put his side in front with a curling strike that found the top left corner. Tom McGrath then put a great ball into the box from a free-kick but Jake Stokes was unable to convert from a tight angle. But De Montfort scored a second inside half an hour. George Walker lost his man at a throw-in and drilled the ball across the face of goal, which found an unmarked Manny Loye who tapped it in. Derby responded brilliantly and Djm Mutamba got on the scoresheet. The hosts worked the ball out wide then after a series of passes and great movement, the forward received the ball and finished well before his side got an equaliser. De Montfort were dispossessed and Hussein drove forward dangerously down the right wing. The Derby winger then jinxed past his man and slotted into the net. De Montfort put themselves ahead minutes into the second period as Odeleye scored his second of the game. After receiving two bookings, Matt Isles was then given his marching orders, leaving the home side in all kinds of trouble. The centre-half brought down the De Montfort attacker who was one on one with Ryan Plant, leaving the referee with only one decision. Derby looked to change shape and made a host of substitutions which saw Tom Howie and Alex Drury substituted on for McGrath and Djm Mutamba. Dominic Scott-Bone later came on for Drury due to injury. 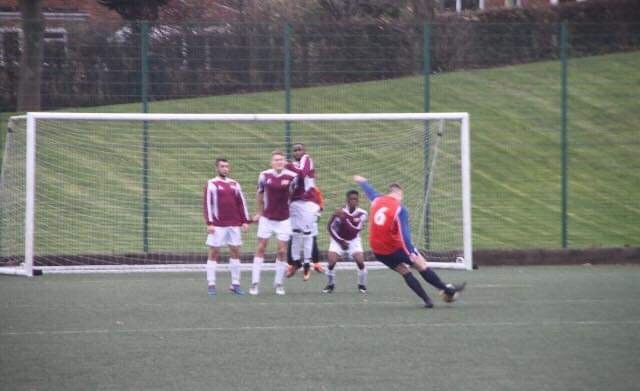 De Montfort continued to attack and later scored two goals in quick succession, which took the game out of reach for Derby and secured all three points for the visitors. Derby Men’s 5th XI now look to prepare for their clash with University of Warwick Men’s 4th XI at home next week.